Have followed you since way before your "taste" loss ... congratulations, what a terrific contribution to the food world. Congratulations Molly! And how interesting to have two book experiences, so alike and so different - one so intensely personal, one so academic. I imagine it must have felt very different working on them - even if your process was much the same. Thanks for sharing -- I will look forward to checking this one out. I can't wait to get a copy! 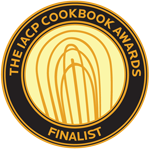 Congratulations to you, and all of you at Cook's! Since I've known Alexi, with some regularity he's brought up a book his deceased uncle owned called The Chemistry of Cooking. It sounds, conceptually, like this new book of yours. He looks for it every time we go in a used bookstore - it's out of print now. Think I'll give him a copy of yours for Christmas. Anonymous: Thank you -- for both your congrats and for following along for so long! Hannah: These were two very, very different book experiences, yes. Writing versus editing. Personal science narrative versus a purely scientific view of food. Starting at square one versus having 20 years of recipe development and research behind me. I learned so much from each. I remind myself every day how lucky I've been to have these opportunities. Amazing! Heard about this on NPR the other day, and I can't wait to read it! Ahhhh! So excited and proud. You are amazing!! Congratulations!! So proud of you! I know how hard you've worked on this!!! I finished reading your book and just wanted to let you know that I loved it. I literally read it in the space of 2 and a half days. Thank you for writing something that was so touching, riveting and interesting. Hi! 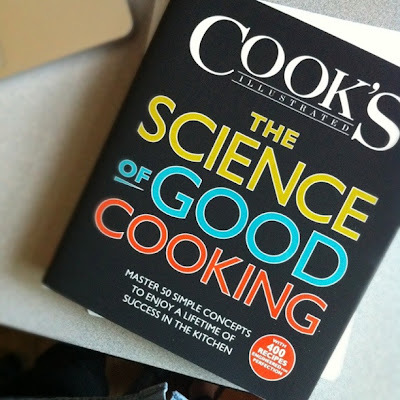 I happened to read about The Science of Good Cooking earlier as featured on the Smithsonian food blog. And then I mozied on our to your blog to discover a familiar book! Reading about it first on Smithsonian I had a curiosity about the book, but now that I hear that you had a big part in the book, I may just have to check it out. I loved the book you wrote! Rebecca: thank you, thank you! I'm so glad. Payal: thank you to you, too! this science book is very different than my own book. but i'm very proud of them both, in very different ways. let me know what you think when you do check it out!